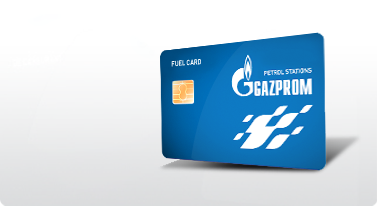 At Gazprom Petrol stations we offer you two classes of high-quality fuel: Premium BMB 95, Super Plus BMB 98 and branded fuel G-Drive 100. Produced to the highest technological standards, G-Drive 100 is the fuel of the new power that will provide both enhanced performance and professional protection for your engine. More information, you can find here. In comparison with Premium 95, Super Plus BMB 98 offers higher octane value of fuel which gives engine more power, increases its efficiency and improves engine operation. Furthermore, using this type of petrol enables better environment protection by decreased emissions of exhaust gases since it contains a maximum of 10 ppm of sulphur, in accordance with the European standards. Its main advantage is that it provides faster engine start-up and better throttle response. Euro BMB 98 is the result of our company’s efforts to introduce a fuel that would be the perfect fit for the new generation of vehicles with turbochargers and more powerful engines. Octane value defines petrol quality and determines the resistance of a certain petrol type to detonation combustion. It is important to remember that higher octane number means better resistance. Euro Premium BMB-95 is high quality fuel which is completely in accordance with the European standard EN 228. What makes this fuel special is its optimally balanced composition with low sulphur content (less than 10 ppm), which yields many benefits and makes it very convenient to use. Engine runs in less corrosive environment, resulting in the preservation of catalyst lifetime, prolonged oil change period, reducing the amount of sediment in the cylinder as a by-product of combustion. Usage of this fuel reduces emissions of harmful exhaust produced by combustion and therefore reduces the greenhouse effect. Thanks to complete elimination of lead and low sulfur content (up to 10 ppm), it contributes to a significant reduction of harmful gas emissions into the environment, primarily sulfur oxides.